Sunday 23 April 2017. Growing in size and popularity each year the Gran Fondo is a spectacular cycling sportive through the beautiful scenery of North Wales. Taking in the best views that Conwy and Denbighshire have to offer riders can tackle one of three routes of varying difficulty. For intermediate riders the Bach takes participants around a leisurely 43 miles while the Canol pushes cyclists over a more challenging 70 mile course. Those looking for a truly testing ride can take on the tougher Mawr over 102 miles. Beginning in the shadow of the majestic Conwy Castle riders will experience the spectacular scenery of the local area and pit themselves against each other in the ‘Storm the Orme’ time trail. This timed circuit of the breathtaking headland is the only competitive element of the Gran Fondo Conwy with fastest male and female cyclist being crowned on the day. 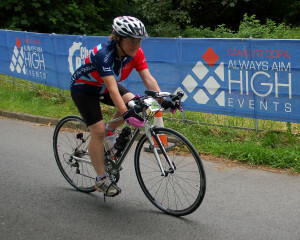 The Gran Fondo Conwy also offers an opportunity for cyclists of all levels to join in the fun. The Teulu is a free family ride over 4 miles of smooth car free roads. Children are able to cycle with an accompanying adult and experience all the fun and excitement of the event in a safe environment. For spectators and cyclists alike the Event Village based at Conwy Marina offers a range of facilities, live music and entertainment alongside a fantastic atmosphere. 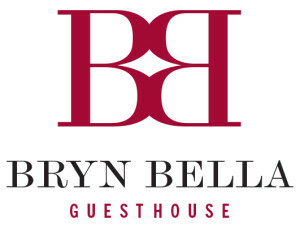 Bryn Bella Guest House offers the perfect base for your visit to the Gran Fondo Conwy. We are situated in the village of Betws-y-Coed just half an hour outside Conwy and can offer comfortable, modern accommodation to weary cyclists and spectators as well as breath-taking views of Betws-y-Coed and Gwydir Forest. Our 4 star award winning guesthouse is also perfectly placed for our guests to access the other outdoor pursuits that Snowdonia National Park has to offer be that more cycling, hiking or even surfing at the world’s first indoor surf lagoon! As outdoor enthusiasts ourselves we can advise guests on a range of activities and understand the need for a relaxing base for your action packed holiday! Visit Gran Fondo Conwy to find out more about the Gran Fondo Conwy and to secure your spot in this exciting event. Love the sound of the Gran Fondo Conwy? Then you should also check out the Snowdonia Etape Eryri with its utterly gruelling Xtrem route (226 miles) across the magical landscape of the Snowdonia National Park. 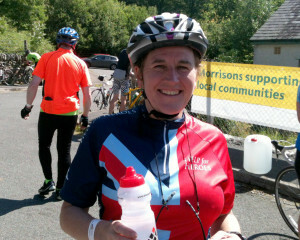 Also run by the same event organisers is the Tour de Mon with it’s beautiful routes along the beaches of Anglesey.